Top 10 Cute Manatee Kids! Manatees are curious, gentle, charismatic, and appealing marine mammals, and manatee kids are ten-times so! Whether it’s investigating everything around and about, learning the art of flipper-turning, demonstrating new buoyancy and swimming skills, fine-tuning snout rubbing, meeting other manatees, exploring or just being the subject of its mother’s pride, manatee kid’s antics are just plan cute! 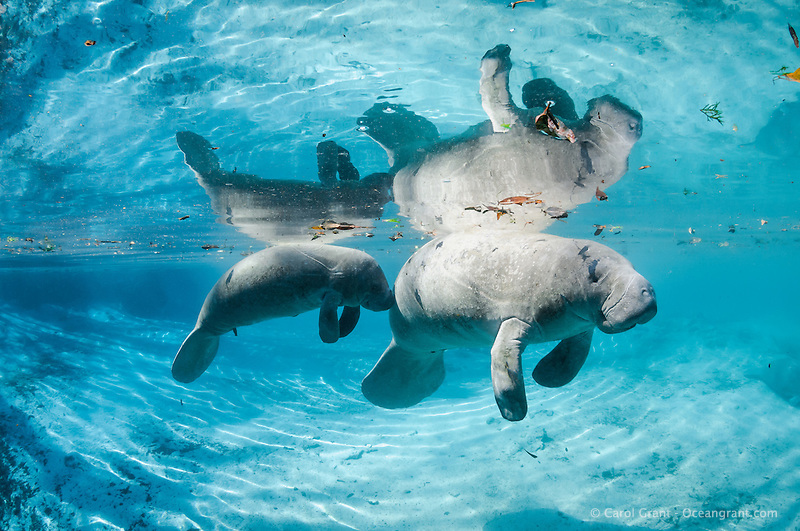 #10 – Mother Manatee with Calf Behind – How cute is this? Not only are this mother manatee and her male calf floating peacefully with beautiful reflections in the calm waters, but junior has his snout touching mom’s behind. Awwwww!